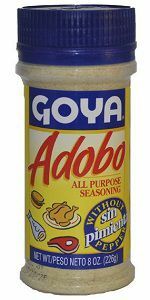 make sure you shake on Goya Adobo before cooking. poultry and fish dishes. A simple shake is all it takes.